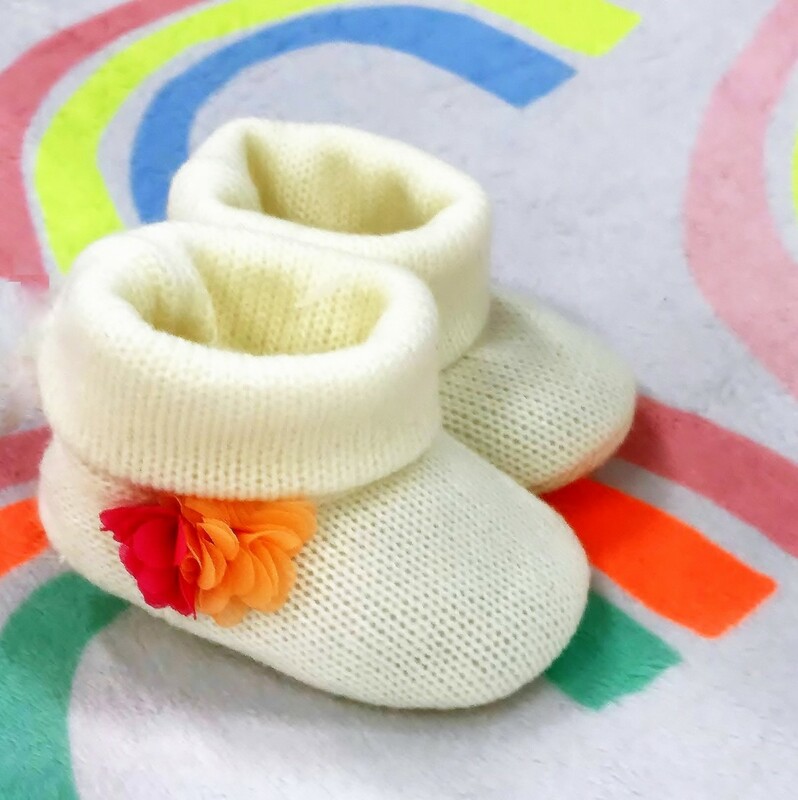 Pregnancy is a time when, more often than not, we need a few extra things to help keep us healthy, safe, comfortable and happy, but there are so many pregnancy products out there, which ones are really essential? Which products actually do what they say they will? And which maternity products are worth the money? 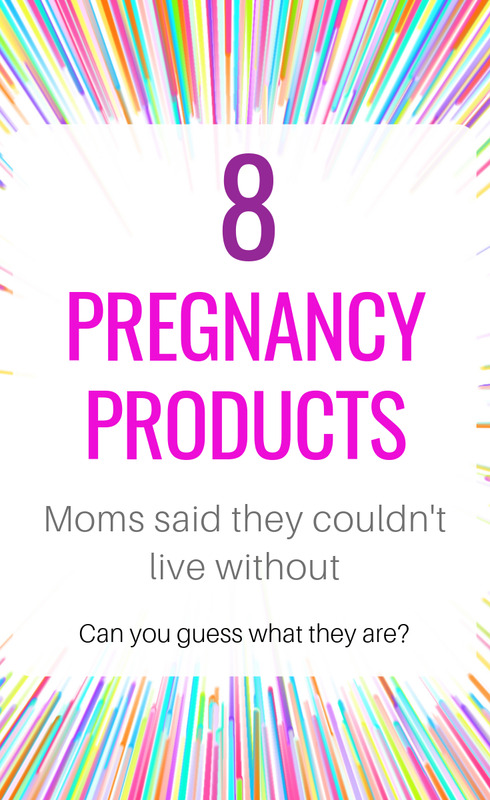 Here you'll find the top 8 best pregnancy products as voted by other moms-to-be. You'll see top pregnancy products to keep you comfortable and relieve your aches and pains, such as the full body pillow and maternity support belt. Products to help you connect to your baby in-vitro including the pregnancy music belt. 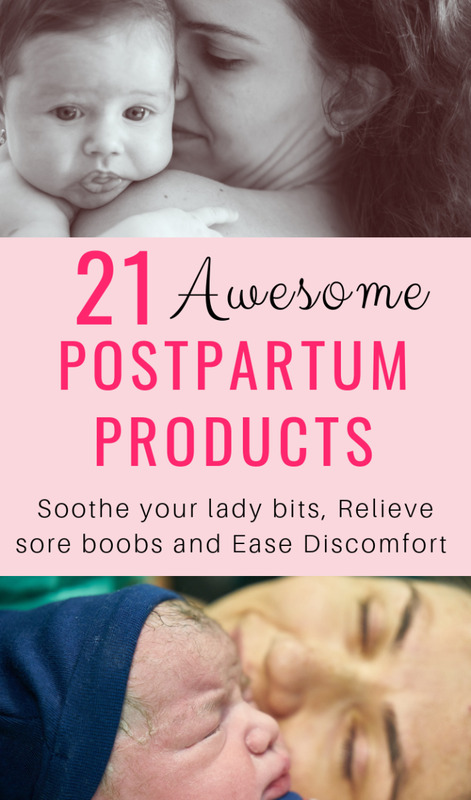 Yet more products that will help keep you looking beautiful and healthy including a lovely rosehip stretch mark oil and organic prenatal vitamins, as well as some items to help you prepare for labor and delivery. Aaah, the joy of snuggling up in a full body pillow and experiencing complete support for your growing body. 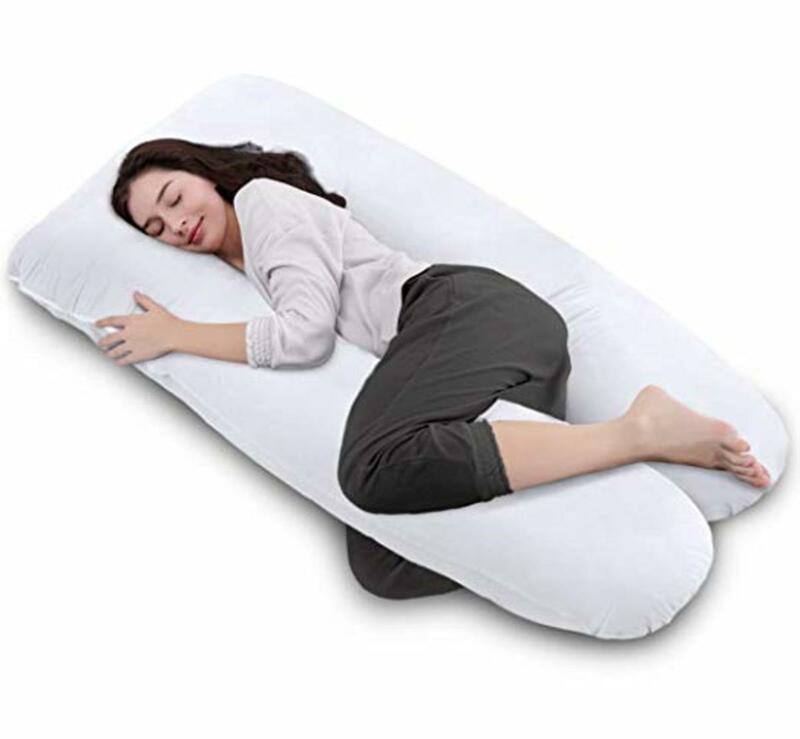 If getting comfortable at night has been a problem and you're struggling to get a restful night's sleep, then a full body pillow is the pregnancy product for you. Whichever way you turn the pillow will hold you snuggly, support your tummy, back, hips and knees and ensure that those pregnancy aches and pains become a distant memory. The pregnancy pillow featured here is the Queen Rose U-Shaped Maternity Pillow. It's a best seller and very highly rated for quality and comfort. My own one has supported me through two pregnancies and is still well used, especially when my husband is away working, and I need something to cuddle! Another awesome maternity product for modern moms-to-be is the pregnancy music belt. These wonderful devices allow you to play soothing music and voice recordings to your baby from around 13 weeks gestation at just the right sound levels for your developing baby. Perfect for moms who want to stimulate their babies brain in vitro with a touch of Mozart, as well as for families where dad is away (he can make voice recordings for you to play to your baby), the pregnancy music belt is a must-have pregnancy product for parents that want to build a relationship with their child before birth. The Bellybuds pregnancy music system is one of the most popular available, but there are several others to choose from too. One of the worst things about pregnancy is the potential for unwelcome changes to our bodies such as stretch marks, so using a specialist product to prevent them is a wise move. There are hundreds of products on the market that claim to prevent stretch marks, unfortunately, not many of them actually live up to their boasts! Rosehip oil can definitely not be put into that category—it really works! Teddie Organics Rosehip oil is one of the most effective stretch mark prevention oils I've found and is well worth the price. One bottle should last throughout your pregnancy, so for a few cents a day you can have a perfectly smooth and scar-free tummy forevermore. 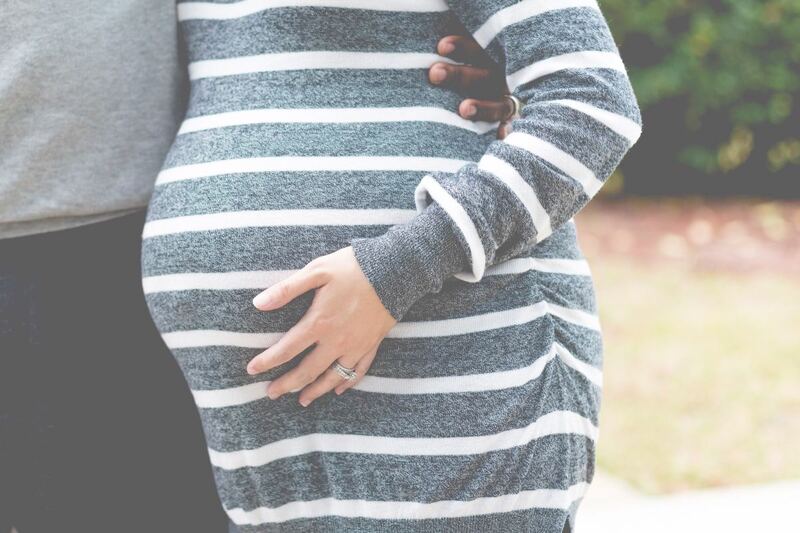 During pregnancy, there are all sorts of new physical difficulties that can arise, from general aches and pains particularly in the lower back and pelvic area, as well as sciatica and Symphysis Pubis Dysfunction (SPD). The latter is caused by your pregnancy hormones, rather than an increase in weight and can be extremely painful. Whatever the specific problem you are experiencing, a good maternity support belt or full prenatal cradle can do much to relieve these kinds of aches and pains and offer some much-needed support for your growing body. The Jill & Joey maternity support belt shown here is one of the most popular support belts because it is extremely comfortable to wear, is made from soft yet equally durable materials and is a great price. I absolutely loved my support belt and I don't know how I would have gotten through my last pregnancy without it. 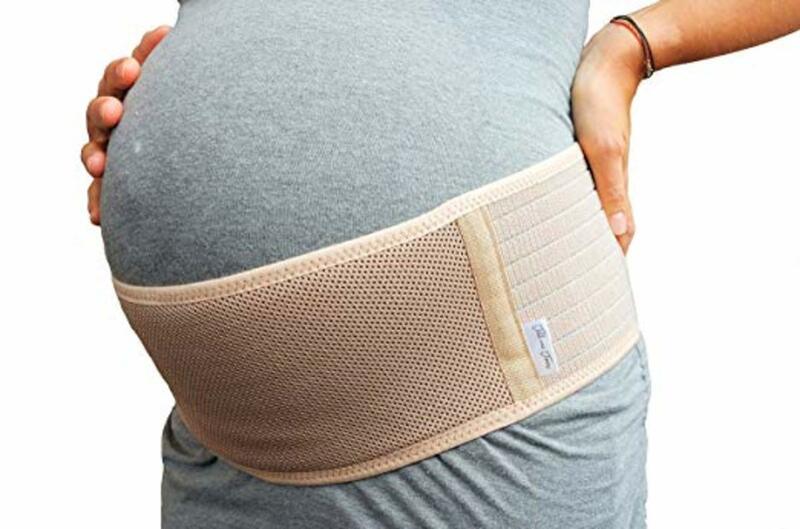 My PGP (Pelvic Girdle Pain) was intense in the last few months of my third pregnancy, so I wore my support belt almost constantly (even at night). Nowadays most moms-to-be will be aware of the need to ensure they are taking in the correct vitamins and minerals during pregnancy and at the right levels so that both Mother and baby stay healthy throughout. Of course, this can be achieved through eating a good diet that contains a wide variety of fruits, vegetables, pulses, good fats and proteins which will deliver a diet that is high in folic acid, calcium, iron and all the other micronutrients required. But for those Moms who are worried that they are not getting enough vitamins and minerals in their diet, maybe because they are suffering from bad morning sickness, taking a good all round prenatal vitamin is a good idea. Mama Bird organic whole food prenatals come highly recommended because they are specially designed to include all the correct nutrients at just the right levels for Mom and baby, ensuring that you both stay in tip-top condition. I singled this brand out for myself from all the available options because they're organic, they're made from raw vegan products and they contain folate in its natural form rather than folic acid. As the weeks of pregnancy creep by, naturally we become more and more focused on the inevitability of labor and delivery, especially when it's our first child and we are not sure quite what to expect. We wonder what it will be like, how we will manage the pain, how long it will last, whether we will have complications or a straightforward birth? 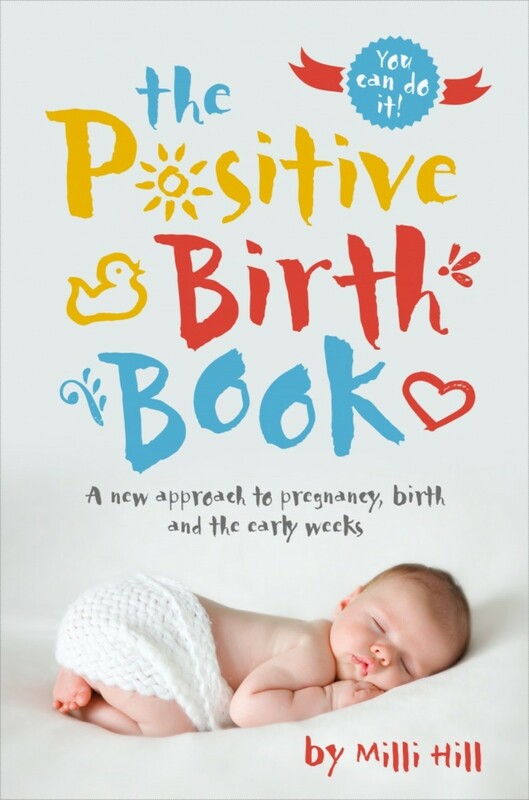 For those hoping for a natural childbirth or those who simply want to learn how to prepare themselves mentally for labor and delivery, The Positive Birth Book by Milli Hill is a must read. With plenty of other mom's birth stories included, the author will help you develop a belief in yourself and your bodies' ability to give birth free from anxiety, stress and fear, ensuring that your labor and delivery are the beautiful experience that they are meant to be. The Bellyband is an awesome invention. It fits snuggly around your tummy while helping to keep your jeans or trousers up. This saves you having to rush out to buy maternity jeans. In fact many women never have to buy special maternity pants or jeans - they just use the belly band and keep wearing their pre-pregnancy pants. Raspberry leaf tea has a reputation for being the ultimate "woman's herb" in that it can help with all kinds of women's health issues such as irregular periods, period pain and heavy bleeding during menstruation, as well as being beneficial for pregnant women by relieving nausea, strengthening the uterus and minimizing pain during labor. Many women and midwives swear by Raspberry Leaf Tea and the benefits of drinking it regularly especially in the last few months of pregnancy (from 32 weeks onwards). To my knowledge, these claims have never been scientifically proven, (though scientific studies have definitely not found any adverse effects for babies or mothers due to drinking raspberry leaf tea), but what is true is that the tea contains a lot of vitamins and minerals essential during pregnancy, as well as a whole host of micro nutrients such as selenium, manganese, phosphorus, magnesium and zinc. 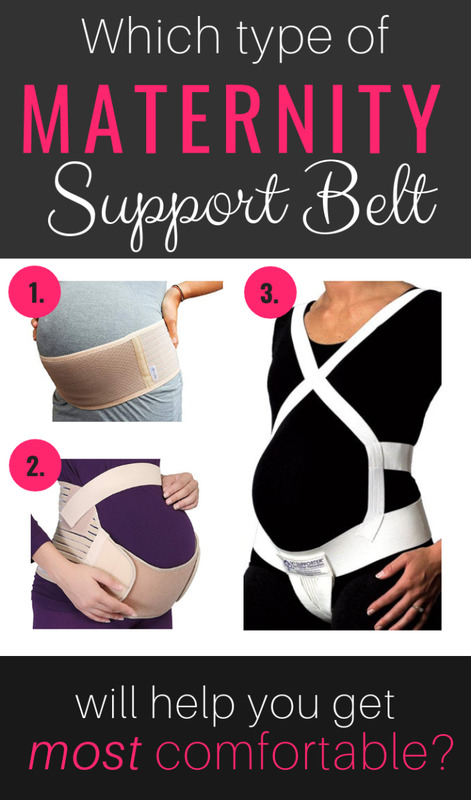 Which Type of Maternity Support Belt Is Best (and Most Comfortable)? Need that body pillow! Very useful list. I especially like the recommendation of tea ~ I'm a huge tea drinker, so it's nice to find tea that I can drink during pregnancy. Great hub! I wish I had access to these items when I was pregnant. The body pillow looks like something I would still enjoy. :) Great informative hub. Your writing technique is very inspiring. Thank you for sharing. Love the body pillows, some patients of mine have them and they are great for support!! Thanks for your comments everyone :) I agree, if anyone is on a small budget and wondering which pregnancy product to choose, I'd definitely recommend the full body pillow - getting comfy is important! 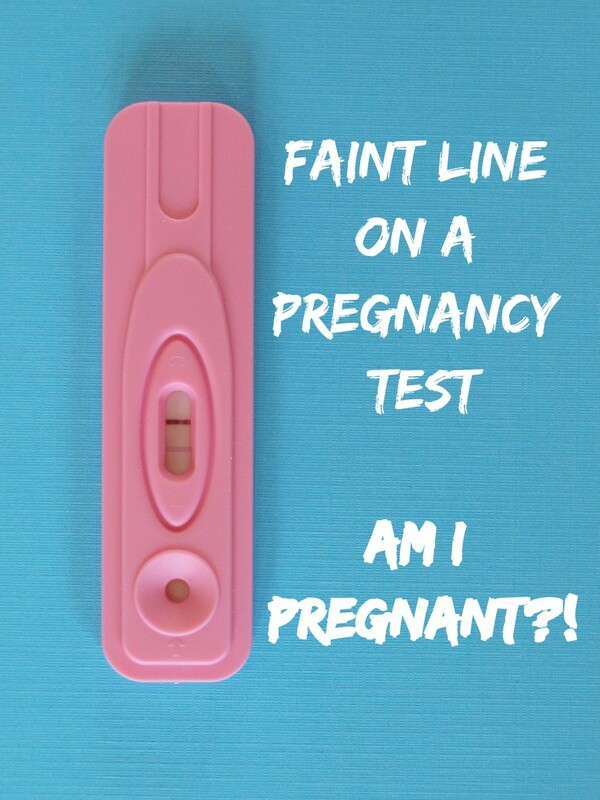 Especially in the last trimester. That pillow looks amazing. I agree, a body pillow is a must have item. This is a super hub, and I like the easy to ready lay out. I wanted a full body pillow so badly during my last pregnancy, and really regret not buying one. A very comprehensively written hub about pregnancy products. Wished these products had been around during my pregnancy 38 years ago. Excellent data for new moms. Voted up marked useful.